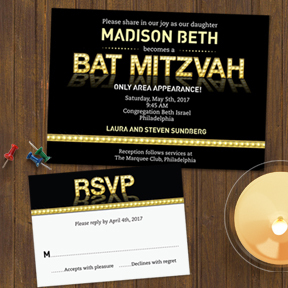 Mazel Tov! 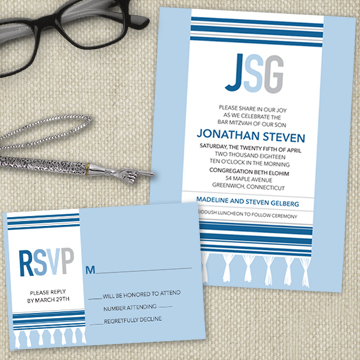 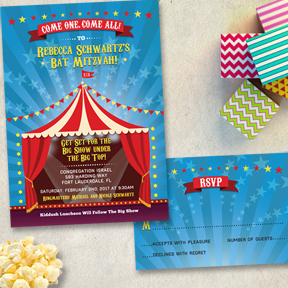 Bar and Bat (or B'nai and B'not) Mitzvah designs are our specialty. 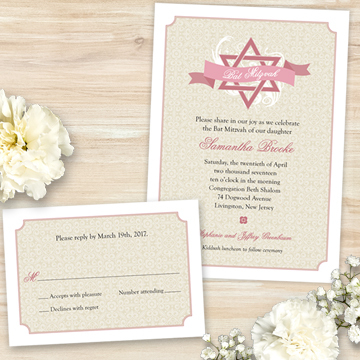 We know what is involved in planning your child’s big day. 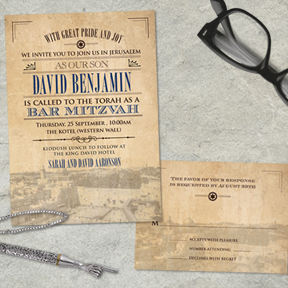 From reciting their Haftorah portion to the Kiddush luncheon to the cutting of the challah, these singular Mitzvah moments come together to make the day momentous for your family and friends. 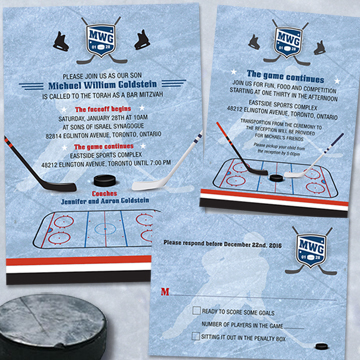 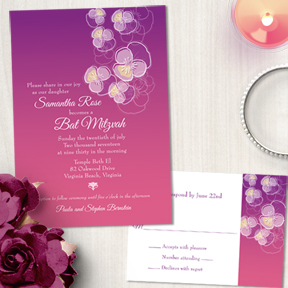 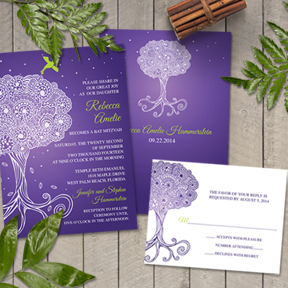 Our invitation suites include ceremony and reception invites, RSVP cards or postcards, menus, thank you cards, signs and more in a huge variety of themes including sports, travel, hobbies and more!